The F-35A is the latest addition to ACC’s fleet of deployable and fifth-generation aircraft. 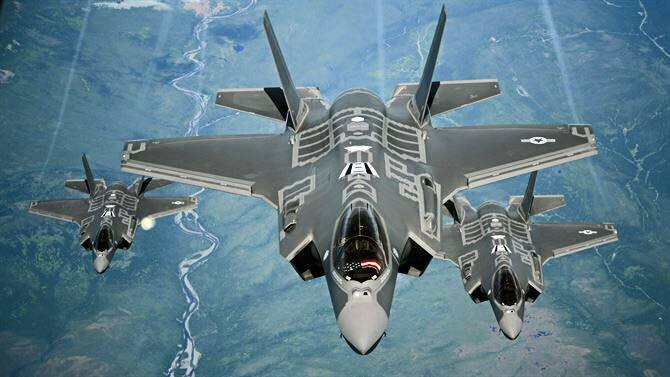 It provides air superiority, interdiction, suppression of enemy air defenses and close air support as well as great command and control functions through fused sensors, and it will provide pilots with unprecedented situational awareness of the battlespace that will be more extensive than any single-seat platform in existence. Chief of Staff of the Air Force Gen. David L. Goldfein, said that dynamic new capability will benefit the joint warfighter. The 34th Fighter Squadron of the 388th Fighter Wing, based at Hill Air Force Base, Utah, is the service’s first operational F-35A squadron, having met all the established criteria for initial operational capability including a successful June deployment to Mountain Home AFB, Idaho, and a series of eight-aircraft sorties held in mid-July. 34th FS Airmen will fly and maintain the F-35A alongside Air Force Reservists from Hill’s 419th Fighter Wing.